Want to join me in making a difference? I'm raising money to benefit Camp Tuscazoar Foundation, Inc., and any donation will help make an impact. Thanks in advance for your contribution to this cause that means so much to me. 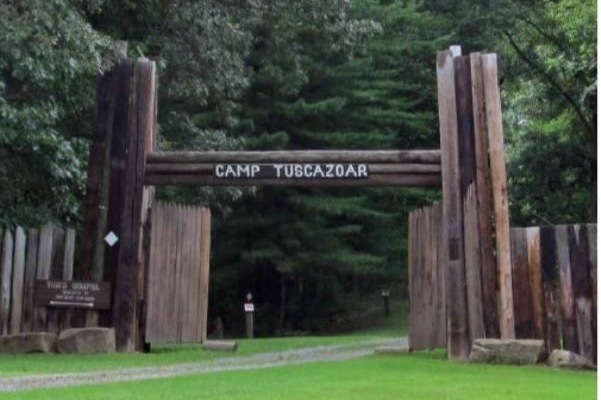 More information about Camp Tuscazoar Foundation, Inc.: The Camp Tuscazoar Foundation is an Ohio non-profit corporation founded to purchase, maintain and perpetuate Camp Tuscazoar for use by scouts, church groups, schools and other community youth organizations. The first entrance to Camp Tuscazoar was a pole tower constructed in 1926 near Pioneer Point, the main entrance to camp at that time. The pole tower was replaced two years later with a replica of a fort palisades gate. In 1965, a stockade was built at its current location by members of the Pipestone program and, in 1998, it was rebuilt once again. Today, hundreds of youth and adults pass through these gates each year to explore the riches of Tuscazoar, just as their predecessors did. Please help us keep this tradition alive and support rebuilding and improving this symbol of Camp Tuscazoar. We need many contributions to help fund restoration. Several suggested donations are listed below but any amount given will be appreciated. Every donor will be thanked for their contribution and invited to a dedication at a later date. If donations exceed the funds needed to complete this project, they will be used for events during our 100th anniversary.